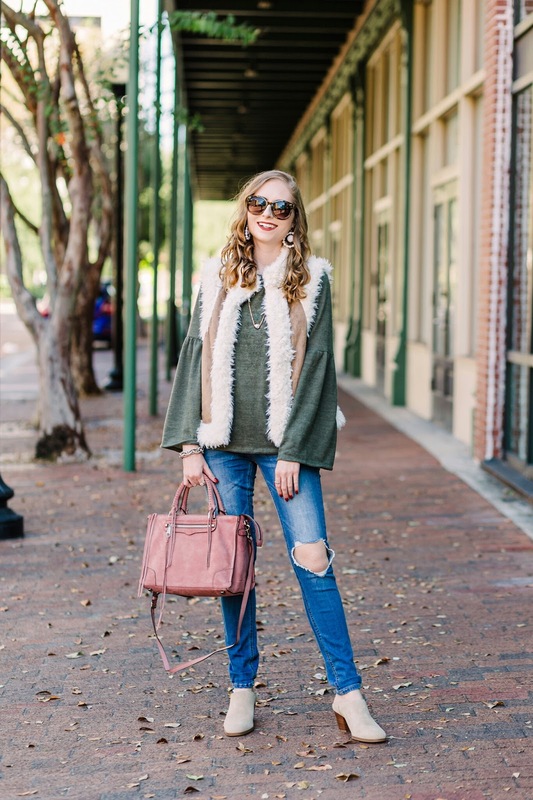 Shearling vests are so cozy for the wintertime. 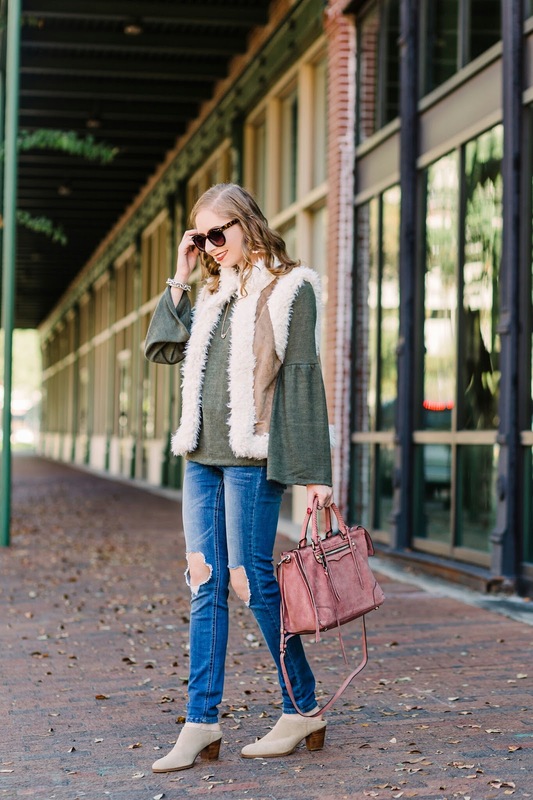 I have this VEST from Old Navy that I scored for under $30! 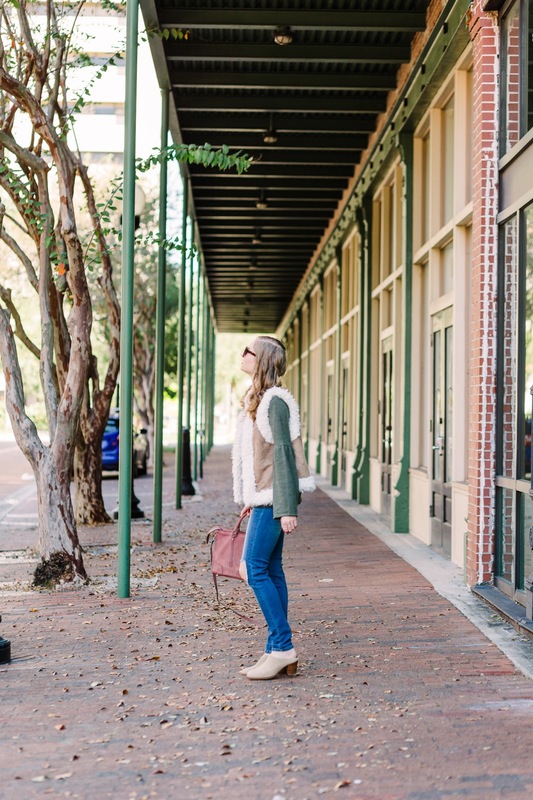 Pairing it with a green bell-sleeved PULL OVER ($17) is the right way to look casual with such a statement vest. 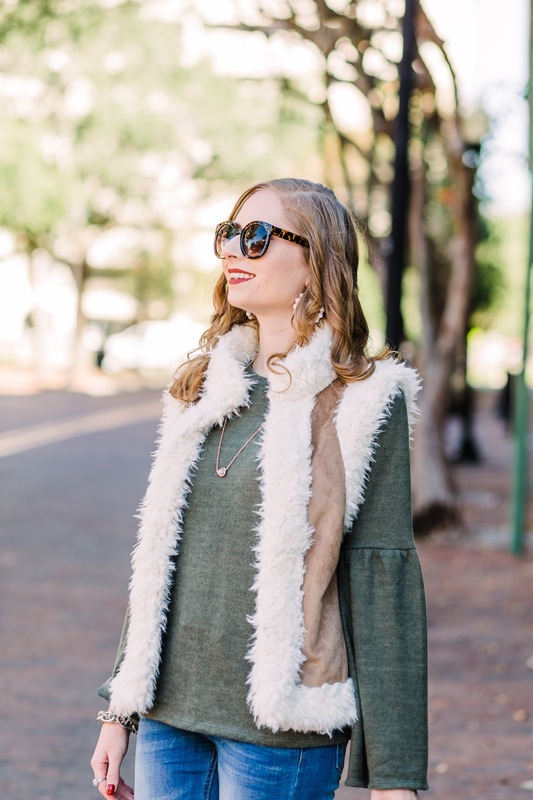 The vest itself is great for mixing with other patterns and textures this holiday season. The white and brown colors are so neutral, I just love it! Once again I am using my gorgeous new Rebecca Minkoff satchel purse. 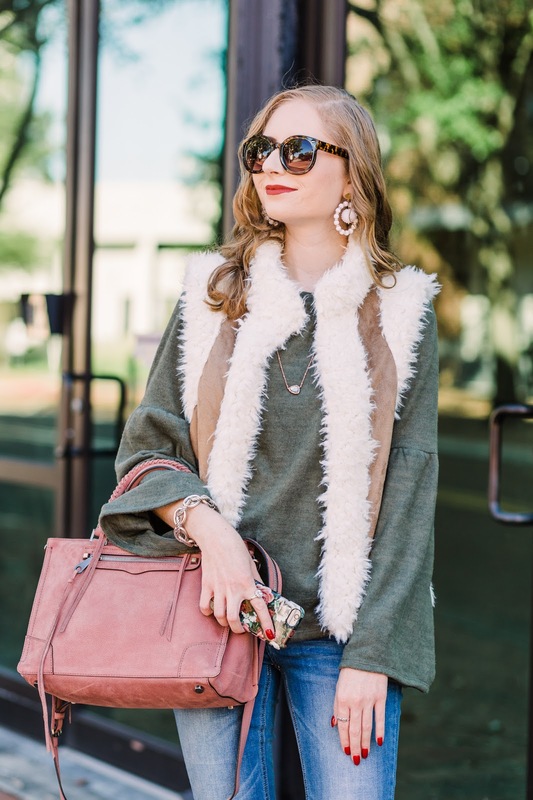 Styling this bag for the fall and winter season is so easy! I adore the berry color and how it fits so much inside. 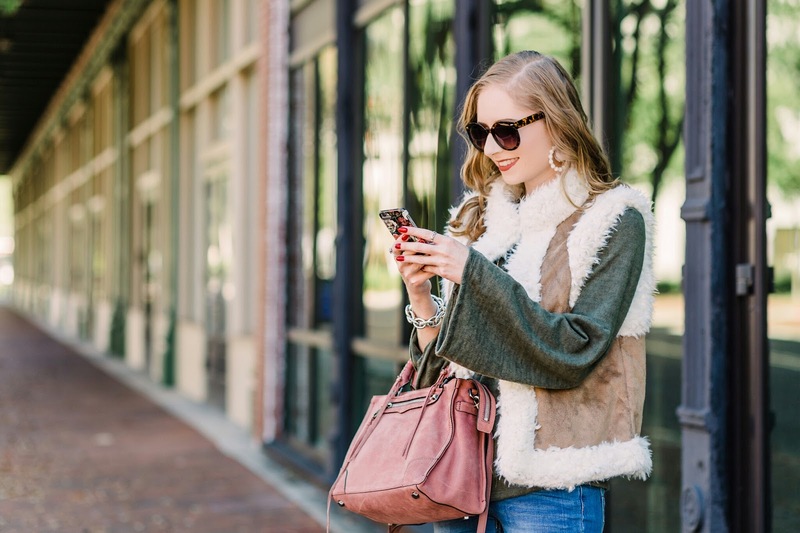 I highly recommend this brand if you are in the market for a new satchel/cross-body purse. It also comes in SO many unique colors that you will love. The blush pink tone is now becoming one of my all-time favorites. 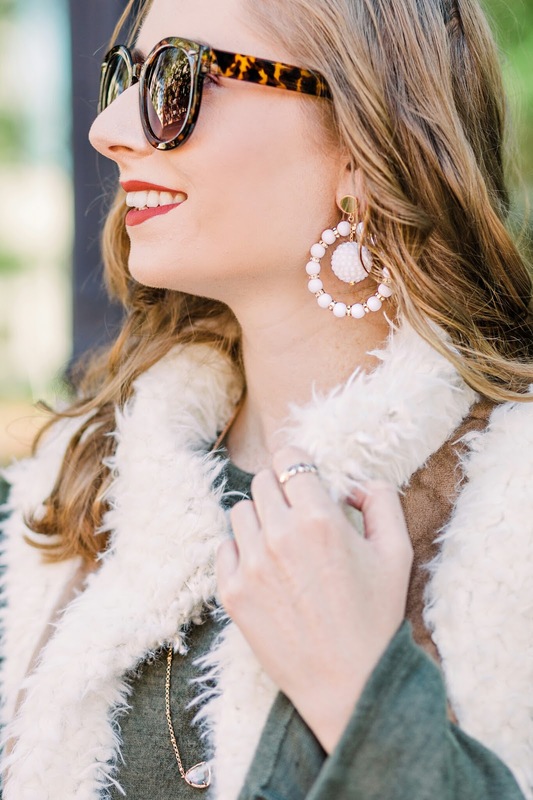 These Brynn Hudson earrings are so glamorous for the holidays! I can't wait to style them with more looks that involve velvet, too. You can shop the earrings and use my discount code “affordableby30off" to receive 30% off your total! Right now I am in New York on vacation. My cousin is getting married tomorrow! We are so thrilled to be in town to see her walk down the aisle. Stay tuned for my outfit and accessories reveal and details on how to shop the dress I will be wearing for the main event!